Christina and Burnett have been together for over 11 years! 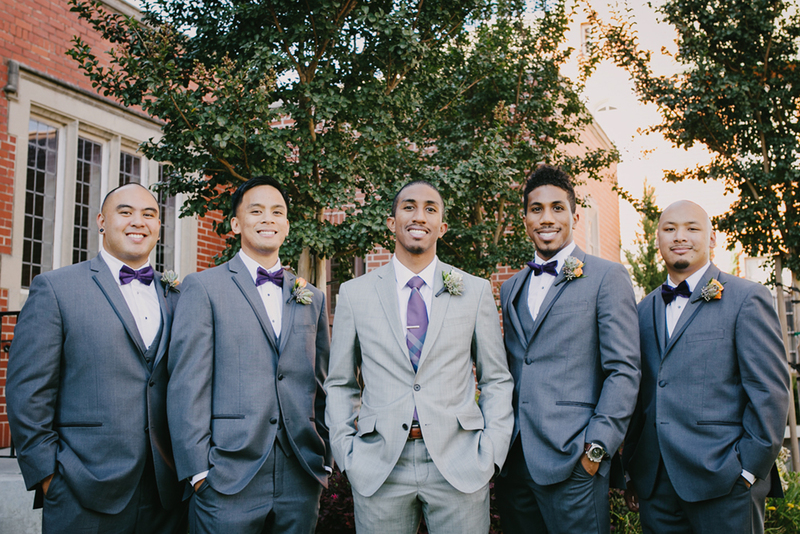 From being high-school sweethearts, they have endured two rounds of long distance and were finally able to celebrate their journey together with a fun and modern wedding party. Christina and Burnett wanted to incorporate their love for the Golden State Warriors into their wedding. They even got Franco Finn, the hype man for the Golden State Warriors, as the emcee for their wedding which delighted their guests! Some words of advice from Christina and Burnett! It is really true when people tell you that the whole entire wedding day goes by in a blur. One word of advice that we received was to take time for just a moment to savor the moment of being married. Burnett and I were thankful that we were able to have short moments where we would just watch our family and friends having fun on our wedding day. Seeing our loved ones happy was such a great feeling for us both.